E Billett & Sons have been importing flowers for over 25 years, providing floral designers and wedding planners with fresh and high quality cut flowers. Its no wonder E Billett & Sons have become the fresh flower provider for Wiltshire. 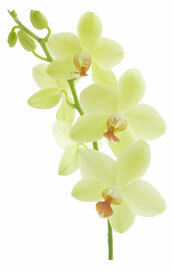 We source a wide range of flowers worldwide, from local growers in England to the auctions of Holland. This enables us to supply an extensive selection in every imaginable colour throughout the year. We deliver a friendly, flexible and professional service dedicated to our customers. Our team will ensure you receive the highest quality products across a varied choice. We pride ourselves in offering a service that combines thoughtfulness and quality in everything we do. Our vision is to work with new and existing customers by listening to their needs and ensuring our service provides high quality products at competitive prices. Bath, Bradford on Avon, Chippenham, Corsham, Devizes, Frome, Lyneham, Melksham, Swindon, Trowbridge, Warminster, Westbury and surrounding villages.